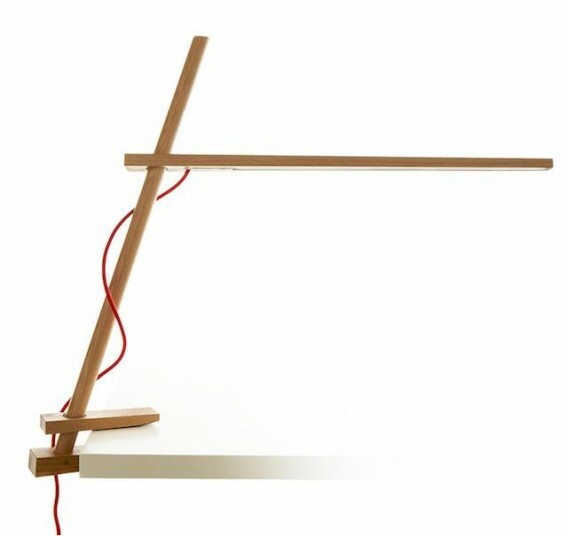 Check out this Clamp Lamp by Dana Cannam for manufacturer Pablo. The woodsy light is made with FSC-certified maple, walnut, or white oak and latches on to your desk with two wooden fingers. Light is provided with 108 LEDs that output between 700-1200 lumens at 3000 K for a 50,000 hour lifespan. The light can be adjusted with a hi-low switch and is listed as using a mere 8 watts. Clamp Lamp is pending Energy Star certification and sells for about $350-400.